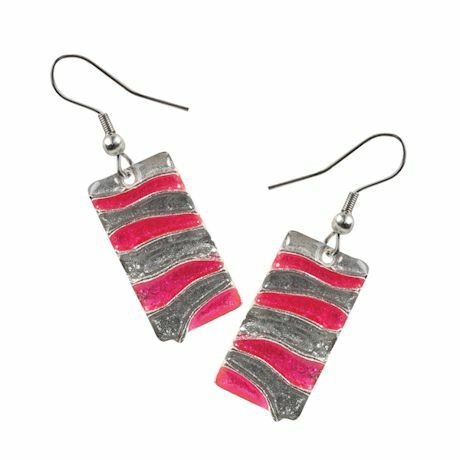 Bright enamel waves cascade over these lively earrings. Hypoallergenic ear wires. Hangs 1 1/4" overall.